From bounce houses, inflatables, face painters and carnival games to tables, chairs and tents, Total Entertainment has it all. We provide you everything you need to plan your next event in the Boston area including the planning services! We understand that organizing an event and working with numerous vendors for food, décor, games, lighting and music can be completely exhausting. That’s why you need to let us do the work for you! We can make your event special and guarantee your complete, 100% satisfaction. We have worked on both large and small events throughout the New England area. With each order and event we arrive on time and always give you the best prices–something that many companies can’t match. 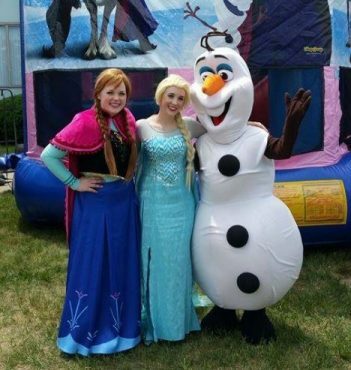 Inflatables: We offer a variety of inflatable rentals that will make your next event unforgettable. Whether you are looking for a bounce house or inflatable water ride, we have the party rentals you need! Costumes: Costumes can be used to add to the theme and ambiance of an event. At Total Entertainment, we offer many different costumes to fit your needs and party style. Entertainment: If you are looking for entertainment for you next event, we offer singing telegrams, impersonators and comedians for your guests to enjoy. Casino Nights: Want to throw a casino party? If so, we have the rental equipment and items needed to make your event just as good as the real deal! Carnival Games & Fun: Our carnival games and rentals can be used for children’s parties, school functions and other themed events. Find out what we have to offer when you call now. Face Painters & Artists: Face painters are a fun option for children of all ages to enjoy. If you are hosting a family-friendly event, allow us to provide fun professional face painters! DJ’s/Sound/ Lighting: Whether you are hosting a birthday celebration, wedding or anniversary, we offer a variety of music, sound and lighting services that will make your event shine. Photo Favors: Give your guests something to remember by renting out one of our photo favor options! There are endless options to select from when you come to us. Movie Night Package: If you would like to host a large movie get together, we can provide the rentals you need to enjoy a picture on a large screen–indoors or outdoors. Video Services: Our video services are great for any occasion! We can create an unforgettable wedding video, music video or pop noggin clip for you! Tents Food Party: We can provide a variety of rentals including food carts, chairs, tables, tents and dance floors! No matter what you need for your event, we can assist you. Full Service Event Planning: If you want to host an event, but don’t have the time or willingness to plan it, let Total Entertainment take care of the details. We are Bostons one stop shop for all quality rentals. Before you make any commitment we can give you a free estimate of costs and an outline of the event. We want to serve you and make your party an event to remember. Contact us toll free today at (888) 752-0628 or at our local number (978) 767-2107 for more information about our rentals.